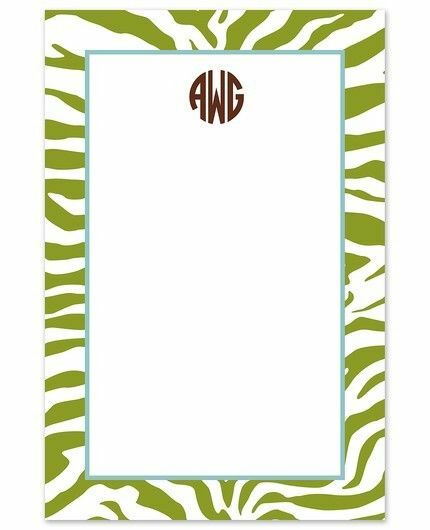 This 100 sheet white note pad features a jungle green zebra print border. Add your personalized text to complete the look. Shown with optional monogram, Circle Monogram.